Canada’s five biggest banks are paying nearly $8 million a year collectively in premiums, for billions in directors’ and officers’ liability insurance with no deductibles, recent security filings show. The total coverage limit and the circumstances under which those policies apply vary by bank. The Canadian Imperial Bank of Commerce said its D&O policy protects its directors and officers where the bank does not, or is not, permitted to indemnify those directors and officers. It has a limit of $300 million per claim, CIBC said in its management information circular released March 13. CIBC’s annual premium is about $1.5 million. The Royal Bank of Canada, Toronto Dominion Bank, the Bank of Montreal and the Bank of Nova Scotia paid $1.9 million, $2 million, $1.45 million and $1.028 million respectively a year in premiums for their D&O policies. None of the big 5 named their insurers in their management information circulars released in recent weeks. All five said they have no deductible. TD Bank maintains a blended financial lines and executive and professional liability insurance program, the bank said Feb. 27 in its management information circular. It has a dedicated policy limit of $500 million. “This insurance provides protection for current and former directors and officers against claims alleging liability or wrongful acts while serving in their capacity as directors and officers of the bank, including its majority-held subsidiaries and entities over which the bank has a controlling influence,” TD said. That insurance applies where the bank does not indemnify its directors for their acts or omissions. Scotiabank said its D&O liability policy is a “Side A” policy that which expires June 1. It has a dedicated $300 million limit. International Risk Management Institute defines Side A as a policy that provides direct indemnification to the directors and officers for acts for which the corporate organization is not legally required to indemnify the directors and officers. RBC said March 7 its D&O insurance has a dedicated policy limit of $500 million for each claim and as an aggregate, together with an additional $150 million for RBC directors only. That applies where RBC is unable to indemnify its directors and officers. 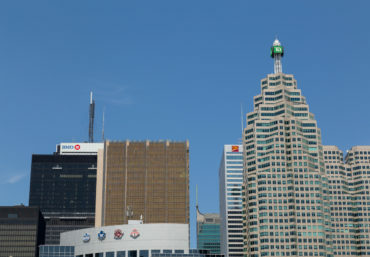 The Bank of Montreal’s D&O insurance “may provide coverage in circumstances where the Bank does not, or is not permitted to, indemnify its directors and officers for their acts and omissions,” BMO said in its circular released March 8.